With over 5 billion smartphone owners expected worldwide in 2019, mobile subscription scammers received some very bad news. Google announced a new feature to help stop mobile subscription scams with their Chrome 71 browser. The Federal Communications Commission (FCC) reports over half of their complaints are about unwanted calls. The FCC also states that in 2016 alone, US residents received close to 2.4 billion unwanted automated calls every month. It’s safe to assume many of those 2.4 billion calls used voice phishing, or vishing. With Google Chrome’s 71, it’s clear they are taking a huge bite out of mobile subscription scams, otherwise known as smishing (phishing via SMS/text messaging). In December, Chrome 71 browser made its debut on computers and mobile devices worldwide. At the heart of the improvement is making users instantly aware when a mobile subscription scam is ready to pounce. More specifically, Google says mobile billing services will be targeted. These billing services place added charges on a user’s monthly bill without their consent or knowledge. The methods for mobile subscription scamming are many. In one case, receiving a text saying you can win a prize by answering a few questions. That is the start of texting back and forth to get questions and send answers. The user is unknowingly being charged exorbitant rates for each question asked and answered. Unless the user carefully checks their monthly bill, they will be none the wiser to the extra charges. PS. There was never a prize to begin with. So always be aware when receiving unexpected texts. Don't just assume they are safe. As with phishing, if you aren't expecting it, expect it to be phishing. When a site asks for your phone number, you then signed up for a mobile subscription that’s billed through your carrier; often unknowingly. And when a site doesn’t make it clear that a user is signing up for a mobile subscription, that’s when Chrome 71 gets to work. 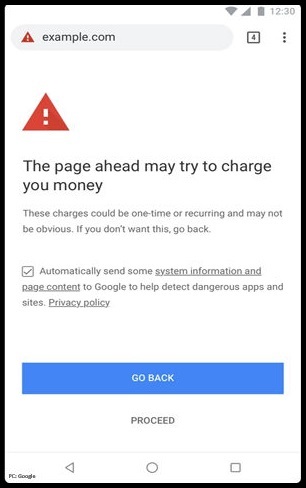 Chrome 71 browser will pop up a full-screen warning when they believe a mobile subscription scam is about to launch. To keep legitimate developers from getting caught up in Chrome 71 scams, they have created a set of best practices for mobile billing. Overall, developers are expected to make clear the actual cost with a simple and straightforward fee structure; all billing needs to be visible and obvious to users. Should those best practices be ignored, Google first notifies webmasters in Search Control about the potential scam. Next, a warning pops up on the user’s screen, alerting them to the danger of a scam. Should users still want to continue with the site, there is an opt-out available. There clearly is no shortage of mobile subscription scamming, but it’s a good thing to know that Google Chrome 71 has your back. So make sure you update your Google Chrome app on your smart device. In some cases, that means that all you have to do is relaunch it. Stop Before You Update…It Could be Malware! Downloading an innocent update for Microsoft Office at work can bring on a world of hurt to yourself and your place of business. As malware download attacks continue to grow, Cobalt Gang is in the news again for its highly successful malware downloader called CobInt. It’s no coincidence the name closely mirrors Cobalt, as the hackers want the credit given to the Cobalt gang. 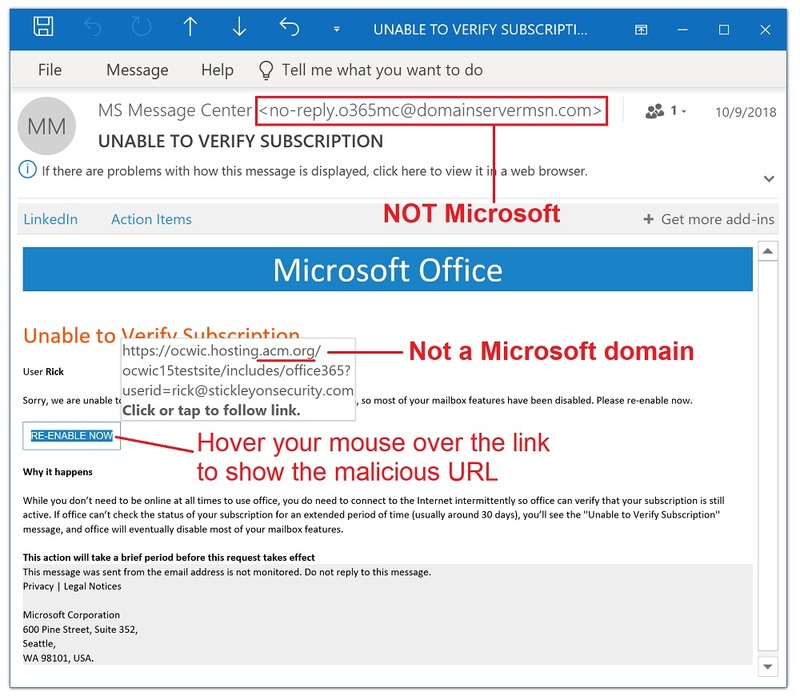 Many of CobInt’s victims are easily lured by fake Microsoft updates that are loaded with malware. The group originally made the news in 2013, after a successful string of attacks on over 100 financial institutions in 40 countries. Despite efforts by international forces leading to the arrest of Cobalt’s mastermind earlier this year, they’re at it again with the new and improved CobInt downloader. Fake update downloads are on the rise, and Microsoft isn’t the only attack vector used by hackers. Google Chrome, Adobe Flash, and Firefox users have also been duped into installing bogus updates. Malicious downloads have more than just one goal in mind. In this case, when CobInt gains access to a system through a fake update, all bets are off since the initial malware download is just the beginning. Once the malware is downloaded as the first stage, the virus spends time “looking around” systems and hackers decide if it’s worth it to continue with additional attack stages. This dwell-time allows hackers to observe the inner workings of a system and its weaknesses, finding even more ways to do damage. Based on what the original malware download exposes, additional malware can be sent to infiltrate systems and find different attack vectors. It’s an effective way for malware download leaders like CobInt to maximize damage in a much more invasive and successful attack. Since download malware is on the rise, users need to find a way to not only detect it, but avoid being a victim. Always start with a healthy dose of suspicion before allowing downloads. Assume emails or pop-up messages notifying you of an update for anything are fake from the start. Never click on those big and tempting “Download” buttons before doing your homework. In fact, not opening emails about updates and simply deleting them (it’s your option to report them as spam to your email service provider before deleting) is your best bet. Going directly to a website--never click on an email download link or call a phone number provided, as they are also fake--to find if an update is available is a great way to find if the download is legitimate. Always use update services that apps and programs make available. You can choose settings allowing updates to install automatically or choose settings that give you update details before allowing the download. If there’s any question about downloading an update, don’t do it. It’s always worth it to do a little homework and find out if that update is the real deal. Google Chrome, the wildly popular browser and search engine, recently hit a roadblock – of sorts. In September of this year, Chrome 69, a completely redesigned UI (user interface) browser, was launched. Along with the many improvements including graphics redesign, is a new built-in random password generator and patches for 40 security issues. Although changes improving the look and ease of using Chrome may be debatable, cybersecurity professionals have much to say about the changes that aren’t so obvious. Some security pro’s take exception to two major changes in Chrome 69: a change in their sign-in feature that affects privacy, and also removing the “www” or “m” (for mobile) from URL addresses. With Google’s sign-in change, prior to Chrome 69, simply signing-in to Gmail meant that is the only part of Google you were signed into. You had to sign in separately for the browser, photos or any of the other parts of it. With the new browser renovation, signing-in to Gmail means you’re also signing into the overall browser without your consent. That enables Google to automatically sync your browsing data and store it in its cloud. Since there is no way to separate the two, tons of browsing data including cookies are permanently stored on Google’s servers. Choosing to delete your browsing history and cookies is no longer considered permanent, as the data is already preserved. Google 70, due to release soon, addresses this concern. Google 70 will enable users to separate sign-ins to the web and browser. Also, Google sign-in cookies will be entirely removed when clearing all cookies, and not permanently stored. As for stripping the “www”... Most everyday users know that including the “www” or “m” (mobile) in a URL is a safety precaution. They’ve been told including the “www” lends credibility to landing on the page you intended…and it certainly does. Going to www.domain.com doesn’t necessarily direct you to same place as “domain.com.” It depends on how the site developers have it set up. So, those letters before the domain are indeed significant. However, Google has announced with the release of 69, they perceive the subdomains as “trivial” – believing the information they represent is information most people don’t need to be concerned with. That “belief” by Google upsets the apple carts of consumer precautions about hacking that have been held for years. They’ve been told paying close attention to the details of a URL is a great way to avoid landing on a bogus website page built by hackers to fool you into providing valuable personal information. Very often, something as small as a hacker transposing two letters in a URL’s spelling can mean the difference between being safe and being hacked. So, many believe, messing with a URL’s perceived safety features is a major issue that can cause users to end up on an incorrect web page. Google has yet to publicly comment on this latest change and if Google 70 will address it. Stay tuned. In the meantime, you can disable this new feature of Chrome 69. Open the browser, and type the following into the address bar: “chrome://flags/#omnibox-ui-hide-steady-state-url-scheme-and-subdomains.” A new tab will open and the first option “Omnibox UI Hide Steady-State URL Scheme and Trivial Subdomains” should be disabled. Then click the “RELAUNCH NOW” button. Do you use Google Chrome as your primary browser when you are perusing the Internet? If you do, you may know that it tends to slow down your computer if you happen to have a lot of browser tabs open. It uses up a lot of your device’s memory. And if you are one of those people who like to keep a whole bunch of them open at any given time, you might notice the slow down even more drastically going forward. Because of the big security vulnerability called Spectre, Google is adding a welcomed security feature to Chrome that will largely contribute to the extra slowdowns. You may remember Spectre from several months back. It’s that big “fundamental design flaw” on every CPU. Yes, every single one. The flaw could allow access to areas of your computer’s memory that shouldn’t be available. Hackers can exploit this to steal information off the device, such as passwords. There is no fix for this, so Google has addressed it by isolating each process being performed in the browser. While this is certainly a good move for added security, it is estimated to use about 10% more of the memory and therefore, slow down your computer a bit more. To enable the Strict Site Isolation feature, copy and paste the following command in your Chrome browser: chrome://flags/#enable-site-per-process. We highly recommend that this feature is kept enabled. To be sure, it could be frustrating for some. But it really is a good move and although it can be disabled for now, it shouldn’t be. Instead, just close your browser tabs when you don’t need them. If you think you may need them in the future, bookmark them. If that isn’t a desirable solution for you, consider a tab manager extension that you can add onto Chrome. Normally, this is not recommended, because adding extensions also can add security risk. However, it is worth consideration for those who insist on keeping a lot of tabs open all the time. Just make sure to research the options thoroughly before installing them so you don’t add a malicious element to your browser. Also, you should restart your browser once in a while to prevent it from completely taking up all your device’s memory too. This goes whether you disable the new feature or not. If you do decide to disable this for now (we recommend you keep the feature enabled), there is a reasonable chance that you won’t be able to later. So, you may as well just get used to it. Even Microsoft is jumping on the bandwagon to make Google’s Chrome browser even better. While Windows does have its own, and arguably safer browser (Edge), Microsoft has also released an extension for Chrome that will help further prevent phishing attacks from becoming successful. And bonus! It works on every operating system, except for Chrome OS. 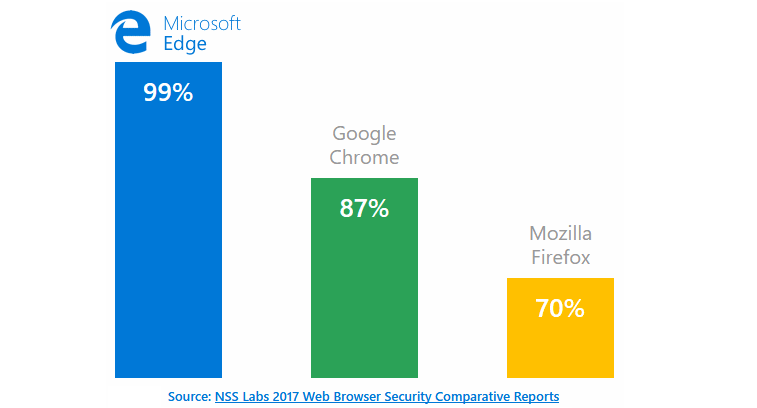 While Edge has been said to protect against 99% of phishing attacks, Google’s Chrome built-in feature only catches about 87%. Neither are shabby numbers, but the Microsoft extension adds just a bit more protection for those who really want to do everything they can to not get taken. However, that doesn’t mean you can just stop looking out for phishing. While these tools will catch a lot of them, they will not get all of them and it just takes one click to get yourself into a world of technological hurt. It’s still necessary to be on your toes. Remember, that not every URL is going to be in the lists that these or other companies have. It’s really impossible for that to happen, even if they are continuously updating those lists. Hackers can be a very tricky lot. They change their tactics, shut down and open new website URLs on a constant basis. No matter how good the tools, they will not stop all the attacks. And these browser tools are limited to just that…browsers. They won’t catch the phishing attempts that come in through your email. Those are getting even trickier to detect by anti-malware and anti-spam tools as well as by our brains. If it isn’t expected, question it. If the sender is unknown, question it. 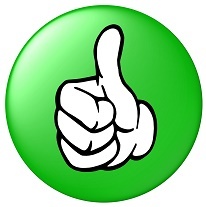 If the message doesn’t provide a description or any personal message about a link or attachment, question it. If it has typos, language mistakes, or looks unprofessional, question it. If it just doesn’t seem legitimate, question it. Take a moment to pick up the phone, walk over to a colleague’s work area, or send a text to confirm any links or attachments that don’t seem quite right. If they happen to be phishing, you’ll be glad you took those few moments to make sure. Sometimes people feel Google is the big, bad, data-collecting wolf. Other times, it uses the data from billions of scanned emails, apps, and web pages for good. In this case, it used data about phishing websites to create a predictive phishing feature for its Chrome browser. However, this technology should never be an excuse to let your guard down. Phishing scammers are more sophisticated than ever, and they certainly won’t quit just because of some new technology. Google has included this functionality it its Safe-Browsing filter, which is also used by Apple and Mozilla for their products. It scans for malicious web pages and sends off a warning to users when they try to visit one of them. While this is all fine and dandy, there are still malicious websites that go up constantly that don’t immediately get detected. That’s why you always must watch for these attacks yourselves. If you receive an email, text message, or phone call from someone that is unsolicited or unexpected, be wary of any information requested. If it’s in the form of a link or attachment, don’t immediately click. If it’s a phone call, don’t give personal information without separately verifying the source. This means, finding a phone number from the company’s website or other means. Don’t return calls to numbers included in email messages or given by a caller if these are unexpected and don’t reply to suspicious email messages. Don’t fall for threats. If someone calls claiming you will be fined, arrested, or even deported for not complying with a request, it’s likely a scam. If there is a sense of urgency that you must verify information right away by clicking a link or filling in a form, it’s likely a scam. Go into any online accounts by heading over directly to the company’s website and logging in to your account. It’s handy to bookmark frequently visited websites, especially for financial and healthcare related accounts so that you don’t mistype them and become a victim of a typosquatter. Google is constantly using the data it collects to improve the overall internet experience for users. But don’t count on any company or product to look out for you 100%. No one product will ever be able to filter out threats completely. Being aware of ongoing threats and listening to that sixth sense is invaluable as well.